A while back, I wrote a quote that I now have printed on every bottle of Modus Operandi wine... "For some, determining ones true purpose in life is accomplished thru following the path of least resistance, and thus relinquishing to passion". When I was 24 years old and living in Dallas, I did just that. In 2002, my wife and I decided to follow MY path of least resistance and relinquished to my passion for wine, and in doing that, sold everything we owned and moved half way across the country where I was to pursue my lofty aspiration of becoming a winemaker in Napa Valley. Today, we make just over 1,000 cases of wine for our loyal customers and club members. We offer 2 location options for tastings... either at the winery and caves in North St. Helena (Cairdean Estate) where we do a quick cave tour and barrel tasting followed by a sit down tasting in the winemakers den. The other location is in downtown Napa next to the Oxbow and Gotts Roadside (The Wine Thief) and is a multi vintner co-op. Food Available: Private tastings at our downtown tasting room are paired with charcuterie and cheese. 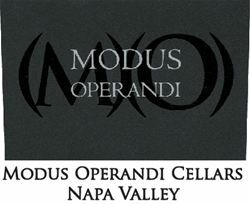 To join the wine club, visit www.moduswines.com or call 530-219-6199. Our Flagship reds are always blended wines from several hand selected vineyards. Before these wines are blended, a single barrel is selected to be bottled as a single vineyard representative of what is used to create our Flagship lineup. So throughout the year, our members get our flagship wines and single vineyard bottlings of the wines used to create the flagship wines. We bill monthly and ship quarterly so payments are as low as $50/month.